Grand Central Market | Press Coverage | Eater LA | Big news out of Grand Central Market today: Bruce Kalman is up early, and he&#039;s ready to start serving breakfast at Knead &amp;amp; Co . The latest addition to the newest tenant&#039;s repertoire landed just this A.M.
Big news out of Grand Central Market today: Bruce Kalman is up early, and he's ready to start serving breakfast at Knead & Co. The latest addition to the newest tenant's repertoire landed just this A.M., working a mix of pasta-focused options (morning raviolo, anyone?) and more straightforward breakfast plate or two — done his way, of course. The opening breakfast menu is still in flux (for example: there won't be any pastries after all), but is presented below in all its simplistic glory. 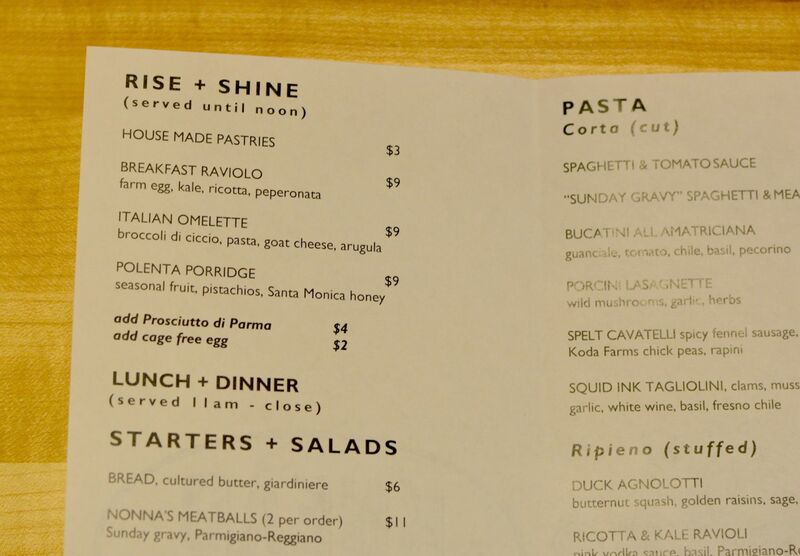 Eventually, Kalman has plans to expand the offerings to include things like a breakfast sandwich, but for now it's all about the eggs and pasta. 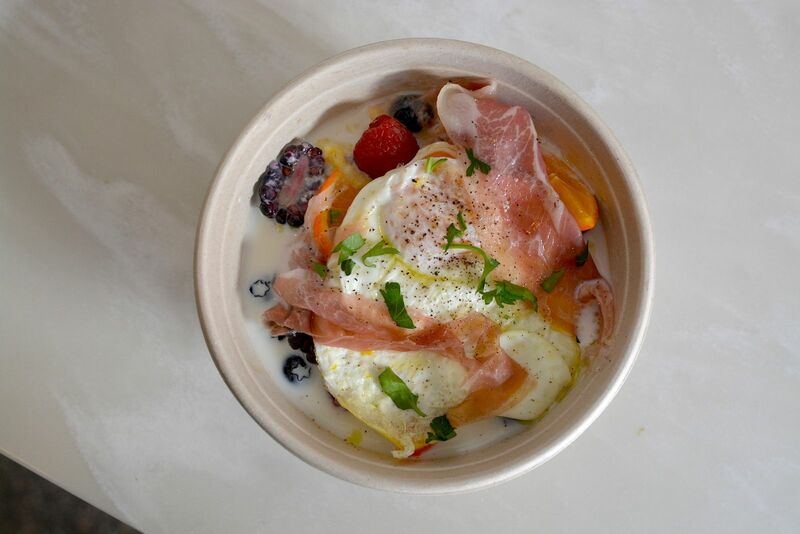 The strongest (and most Instagrammable) early option may just be the polenta porridge, which comes with fruit, pistachios, and honey, but can be massively upgraded with prosciutto and a soft egg. Undoubtedly there's more to come from Kalman as Knead continues to dial in its menu for all-day success, but for now the early going is strong. After all, who doesn't want an omelette with crunchy bits of spaghetti baked right in? The new breakfast menu launched today and runs daily from 8 a.m. until noon.